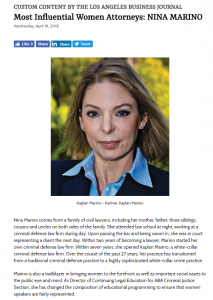 The attorneys of Kaplan Marino are known in California and globally as leaders in the field of criminal defense. 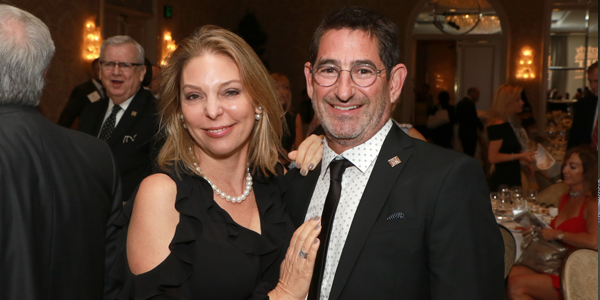 By providing creative solutions and drawing on our decades of experience, we give clients the high-quality representation they deserve. 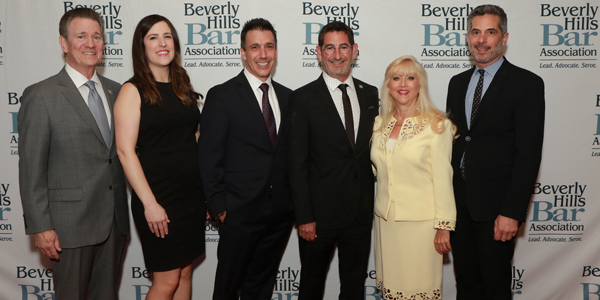 Our partners have become leading criminal defense authorities by obtaining exceptional results, authoring numerous publications and speaking at events across the country and internationally. 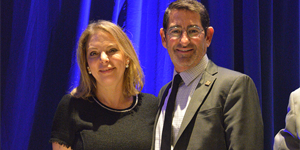 View the links below for more information. 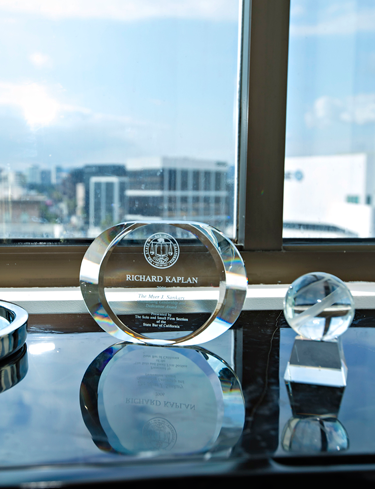 Below are upcoming presentations, keynote speaking engagements and events for Kaplan Marino Attorneys. 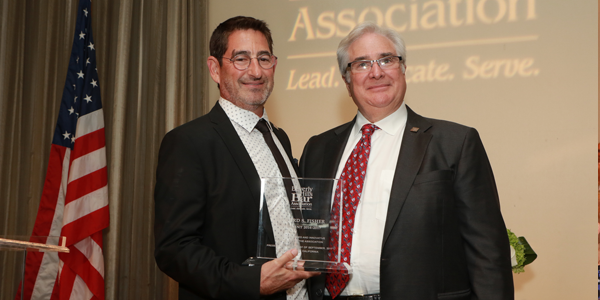 Richard Kaplan honored for achievements as past Beverly Hills Bar Association president. 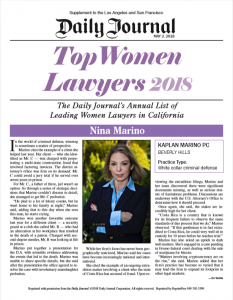 Nina Marino, Jennifer Lieser and CAsey Clark pen article titled "The Dark Side of Bitcoin" published in the September 2018 edition of Los Angeles Lawyer. 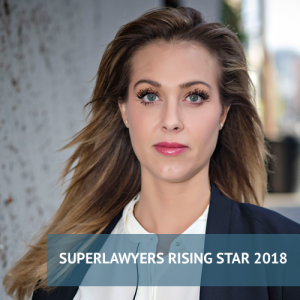 We are excited to announce that Jennifer Lieser has been selected as Rising Star by Super Lawyers for 2018. 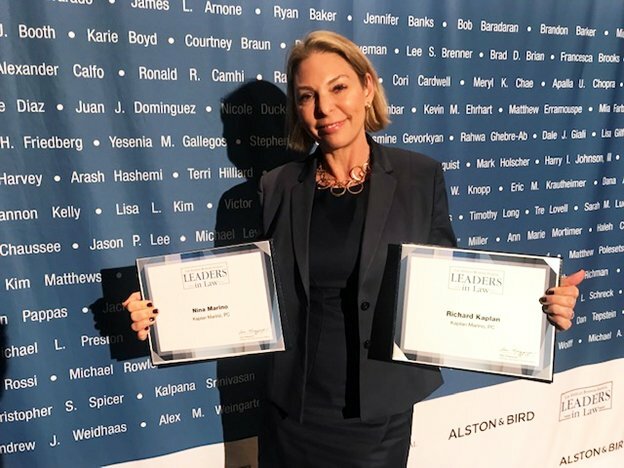 We are very proud of her success and are honored to have her as part of our team. 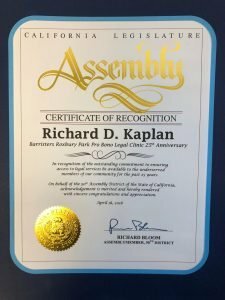 Richard Kaplan is recognized by the California Legislature Assembly for his work with the Beverly Hills Bar Association's Roxbury Park Pro Bono Legal Clinic and his outstanding commitment to ensuring access to legal services for the under-served members of the community for the past 25 years. 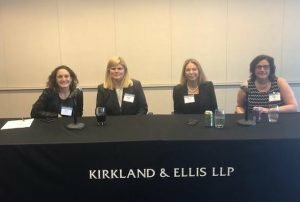 On April 27th, Nina Marino was invited to serve as a panelist with other female leaders in the white-collar defense sector where Nina shared her expertise on business development, mentorship and leadership in the workplace. 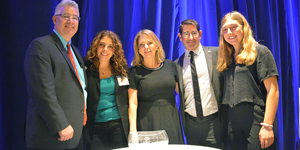 The panel was sponsored by Women's White Collar Defense Association, Kirkland & Ellis and Berkeley Research Group. 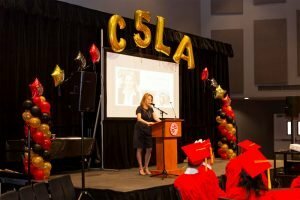 Nina Marino delivers commencement speech to C5LA 2018 graduating class. 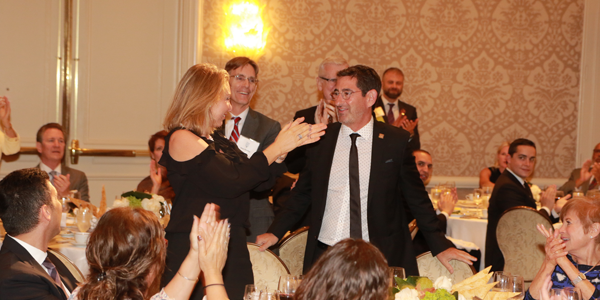 C5LA is a 501(c)(3) organization that provides mentorship and leadership training to high achieving low income inner city LA youth. 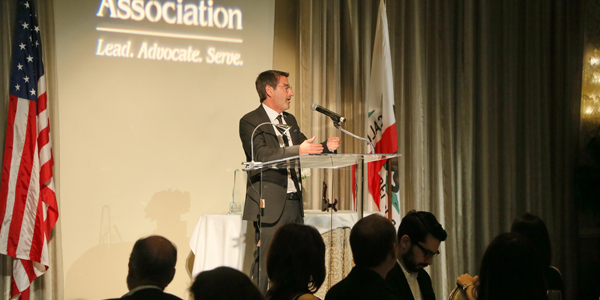 This year, 100% of C5LA's graduates applied to and were accepted to college! 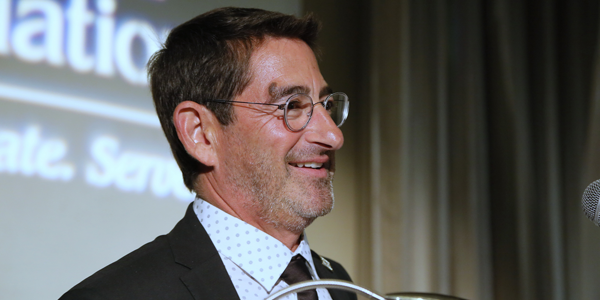 Learn more here www.C5LA.org. 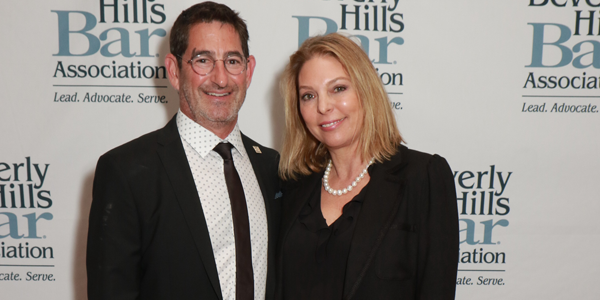 Click here for Nina's Speech. 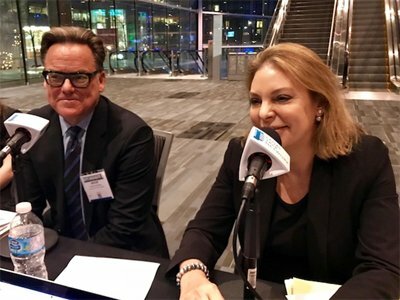 Nina Marino discusses compounding pharmacy fraud defenses at the 2018 ABA Midyear Meeting. 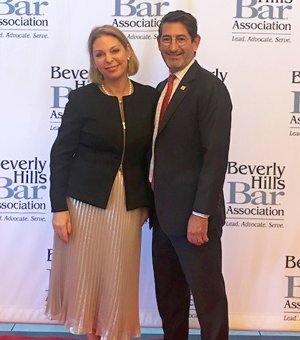 The Daily Journal - Lawyers discuss the challenges of sexual assault prosecutions.